Age Limit: Candidates age limit should between 21-30 years as on 31-01-2016 i.e., candidates should born not earlier than 01-02-1986 and not later than 31-01-1995. Age relaxation is applicable SC/ ST/ OBC/ PwD/Ex-Servicemen/ other eligible candidates as per GoI instructions. Educational Qualification: Candidates should possess Bachelor’s Degree in any discipline of Agriculture, Veterinary Sciences, Animal Husbandry, Fisheries, Dairy Technology, Horticulture with a minimum of 50% marks for post 1, First class Master’s Degree in Agriculture, Veterinary Sciences, Animal Husbandry, Fisheries, Dairy Technology, Horticulture with minimum of 60% marks for post 2 with relevant experience. Selection Process: Candidates will be selected based on preliminary examination, main examination & interview. Application Fee: Candidates have to pay the fee through online by using only Master/ Visa/ Rupay Debit or Credit Cards or Internet Banking, IMPS, Cash cards/ Mobile Wallets. For Grade ‘A’ Posts: Candidates have to pay Rs. 750/- (Rs. 100/- for SC/ ST/ PwD candidates). No Fee for Staff. For Grade ‘B’ Posts: Candidates have to pay Rs. 850/- (Rs. 100/- for SC/ ST/ PwD candidates). No Fee for Staff. How to Apply: Eligible candidates may apply online through the website www.nabard.org on or before from 23-03-2016 to 13-04-2016. 1. Before applying online candidates should have email ID, mobile no & scanned copies of photograph & signature. 2. 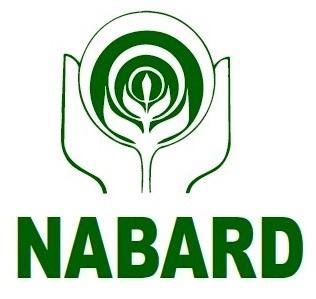 Log on through the website www.nabard.org. 3. Select the desired post & Click on “Click here to Apply”. 4. Fill all the details carefully & Submit the form. 5. Now take printout of online application for future use. Age Limit: Candidates age limit should be in between 21-33 years for S.No-1, 25 – 40 years for S.No-2 as on 31-01-2016, candidates should born not earlier than 01-02-1986 and not later than 31-01-1995. Age relaxation is admissible 5 years for SC/ ST, 3 years for OBC candidates as per GOI instructions. Educational Qualification: Candidates should possess Second Class Master’s Degree in Hindi/ Hindi Translation, with English as one of the subjects at Bachelor’s Degree level or Second Class Master’s Degree in English with Hindi as one of the subjects at Bachelor’s Degree level for post 1, have Commissioned Service in the Army/ Navy/ Air Force for post 2 with required experience. Selection Process: Candidates will be selected based on applicants performance in interview. Application Fee: Applicants required to pay Rs. 750/- (Rs. 100/- for SC/ ST/ PwD candidates) through online by using only Master/ Visa/ Rupay Debit or Credit Cards or Internet Banking, IMPS, Cash cards/ Mobile Wallets. No Fee for Staff. How to Apply: Eligible candidates can apply online through the website www.nabard.org on or before 23-03-2016 to 13-04-2016. 1. Before applying online applicants should have valid login credentials & scanned copies of photograph & signature. 2. Candidates should log on through the website www.nabard.org. 5. Check once before submit the application form. 6. Now take printout of online application for future use.